Getting stopped for DUI in Rhode Island can be a scary and intimidating experience. Police officers and the State will do whatever it can to flex its strength against you- especially during a Rhode Island DUI traffic stop. Aside from seeking counsel from a RI DUI lawyer, this is when your defense begins. Let’s state the obvious: if you’re drunk, don’t drive. It can be especially difficult to think clearly after having too much to drink, so it is important to drill that in now, so it is second nature. I’ve always wondered why people choose to drive then they are drunk – where are they going that is so important? Just fall asleep on the couch or call an Uber. A cab is literally a few screen taps away. Think about it: the difference between you and a RI DUI is a few screen taps away. Never mind the possible jail time, fines, and inconvenience of losing your license/higher insurance. You also risk your life and other innocent lives on the road. Your family and other innocent people’s families do not deserve the pain that would be caused by a drunk driving accident. The bottom line is: without proper defense provided by yourself at the traffic stop and later by an RI DUI lawyer, you have a very high chance of facing a DUI charge. Here is the ultimate guide to defending yourself during a Rhode Island DUI traffic stop. When you see the police lights from a cruiser, pull over to the right side of the road where it is safe- no funny business. This is non-negotiable and any bit of hesitation or suspicious movement will do no good for you. 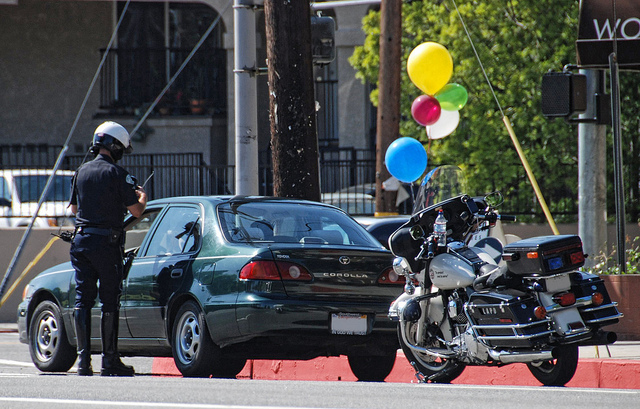 The officer is already pulling you over for a reason, do not bait the officer more. If you feel there are odors in the car that need to be vented, roll down your windows and expel the odors prior to stopping. Remember: As soon as you see those lights, the officer begins to assess and judge every movement, sight, and sound he hears. Proceed with extreme caution. Once you’ve pulled over to the side of the road, you will have few moments to prepare yourself because officers usually get out of the cruiser pretty quick. When you pull over, turn off your car. It will most likely be late at night- turn on your interior lights. Surprisingly, a lot of people forget about this and officers will appreciate you turned on the lights. Why is this so important? Put yourself in the officer’s shoes: it is past midnight, and you have to approach an unknown vehicle while traffic rushes by your backside. It is a very tense situation because of all the unknowns. When you turn on your interior lights, the officer can see who is in the car/what is in the car. He can also see facial expressions, seat belts etc. Make sure you know where all the proper documents are in your car like your driver’s license, registration, and proof of insurance. After you’ve turned on the interior lights, put your hands on the steering wheel. This also allows the officer to be at ease a little more because it eliminates the possibility you are reaching for a weapon. When the officer finally reaches your driver’s window, you will really feel the heavy force of the state weighing down on your confidence you’ve been building up this whole time. The officer steps up to your window with the grim look and piercing eyes, and you feel like he can see right through you. It feels like you are already guilty. This is not true. The officer is doing this to intimidate you and make you think you’ve already lost. Stay confident. When the officer is finally planted at your window, greet them while looking into their eyes. Be courteous and confident when you say this. This already sets the precedent that you respect them and recognize their humanity. Respect goes a long way. Officers often encounter unruly and rude people at traffic stops. Being rude and giving the officer attitude is the worst thing to do. Sometimes, the difference between jail and a “go home sonny” is your attitude. At some point, the officer will ask for your license, registration, and proof of insurance. You are obligated to provide this information, as the driver. Your passengers do not need to show any identification. Now comes the part that is the most difficult for people to push through. This is because of the officer’s intimidation. Once procedural activities are done, the officer will then begin his investigation and questioning. Sure, you haven’t been drinking in excess, but you have been drinking. This is where you really need to step up, be confident and defend yourself. But how? You are not obligated to answer any question the officer asks you. You are not obligated to agree for the officer to search you or your vehicle without your consent, or a warrant. What does this mean? You do not have to answer any question the officer asks you. There is a right and wrong way to do this. The wrong way is to say it with a smug attitude like you are “sticking it to the man.” This will only anger the officer and make it more likely for them to violate your rights later in the interaction. The right way to say it is clear, confident, and mature. You know all those times you hear “you have the right to remain silent”? That is not just a fancy speech, it is literally a right you have. You do not have to provide any information to the officer, or answer their questions. You need to do this because any information you provide the officer can give them reasonable suspicion to continue their investigation. Even a seemingly inconsequential response like, “I only had one glass of wine at dinner”will give them cause to continue the investigation. This will give the officer the ability to search your vehicle and personal belongings based on “reasonable suspicion”. You may feel the urge to become overly friendly in order to ease the anxiety. Resist the urge. Without admission, the officer must base his decision to pursue a DUI arrest based on your driving and mannerisms after the stop. This question will come up during the course of the traffic stop, and most people unwittingly allow the officer to search their vehicle because they think the officer has the right to. “I don’t consent to searches.” This also applies to your passengers if the officer attempts to search their body. You have this right, granted by the the Fourth Amendment of The Constitution. The office cannot do anything without your consent, or a warrant. This includes when they ask to search your body. Remember this: any time the officer has to ask you something, you can deny the request, because it is only a request. The officer needs your consent. Will all officers follow? No. Some officers will take it upon themselves to search you and your vehicle, even though you did not give them consent. This is an illegal search. Make sure you remember and record that happened. After you step out of the vehicle, the officer will most likely ask you to perform physical tests “just to prove you are not impaired.” Deny these tests. The only reason the officer gives the roadside sobriety test is to justify giving you a chemical test (breathalyzer, blood, or urine). When the officer asks you to take these tests, politely say, “I decline the test.” Be confident and firm. Do not be rude. There is no upside to performing the tests. At this point, the officer has probably already made up their mind and has decided to arrest you. If you refuse the PBT in RI, you could be subject to an $85 traffic violation, if convicted. 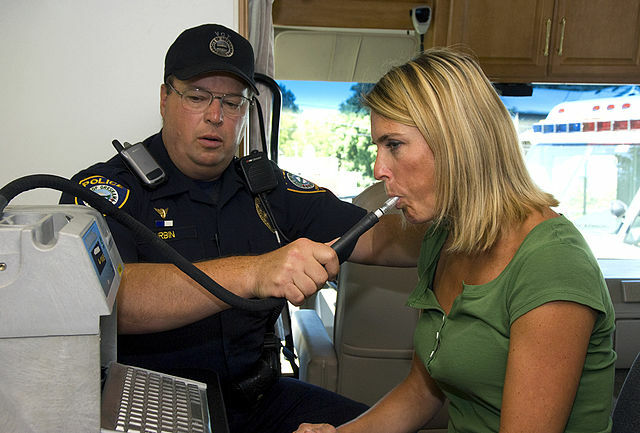 If you are arrested and submitted to the roadside breathalyzer, the results of that test will be main evidence for probable cause used against you in court. A skilled RI DUI lawyer will limit the ability of the state to use this evidence against you if you are charge with an RI DUI. The officer administering the test must be certified as a breathalyzer operator by the RI Department of Health and also must comply with testing protocols. It is much less damaging than if you: admitted to drinking, fell down during the field sobriety test, and blew a 0.09 during the PBT. A police officer can arrest you from the simple fact of your driving pattern and odor. Why help them build their case further by telling them you drank, failed the field sobriety tests, and blew an illegal amount in the roadside breathalyzer? These are the most damaging pieces of evidence, and can all be avoided by following this guide. It puts your RI DUI lawyer in an advantageous position to defend your RI DUI case. Most people think they are forced to take a breathalyzer test or chemical test if you’ve been placed under arrest for an RI DUI. This is not true. At the police station, you will be asked to take a breathalyzer test or chemical test, and you have the right to decline the test. The breathalyzer is the most inaccurate of all 3. The chemical test is a highly contested question of whether to take it or not. The breathalyzer is highly inaccurate, and your BAC could have risen above/below the 0.08 threshold since the beginning of the interaction. If given the choice, and you decide to submit to a test, take the breathalyzer. It will give your RI DUI lawyer better evidence to fight your RI DUI charge. The officer MUST inform you of “implied consent” which is a notification to you of what could happen if you refuse the test. This is something you agreed to when you obtained your Rhode Island Driver’s License. If they do not inform you of this, or produce a warrant, it could provide justification that the results of the tests are inadmissible in court. Be sure to remember this. There are consequences to every decision. If you refuse the test, your license will be suspended, and you should immediately contact an RI DUI lawyer. This is because it is considered a requirement to take the test in Rhode Island. Chemical test refusal is a crime in itself. So what is the advantage to refusing the breathalyzer or chemical test? A refusal goes on your record as a civil matter, while an RI DUI goes on your record as a cause of criminal action. Some cities and towns in RI will still charge you with DUI based on the observations made by the police officer. It is much harder to fight an RI breathalyzer refusal case because the state only needs to prove they had probable cause to arrest you and reasonable suspicion you were operating a motor vehicle under the influence. So when should and shouldn’t you refuse the breathalyzer or chemical test? If you are 100% confident you will pass. If someone was injured in a motor vehicle accident. If you already have a criminal DUI within the past 5 years. If you are not 100% confident you will pass. If you are exercising your rights, chances are that the officer could become irate. This is because they are used to getting their way when they intimidate people in the form of information and admission of guilt that leads to reasonable suspicion and ultimately your arrest. You must be confident and stay consistent throughout the course of the interaction. Do not answer questions and ask if you are free to go. To successfully fight an RI DUI charge, you must find proper counsel in an RI DUI lawyer. Remember, your first defense in fighting an RI DUI is knowing and exercising your rights. Your next defense is actually remembering what happened during the course of the interaction. From the moment you saw the police officer’s lights, to the moment you are fingerprinted at the police station. To help you, make sure the traffic stop is recorded. This is especially crucial to use if you are not actually impaired. Either use a dash cam yourself or position your iPhone camera so it records the interaction. Sometimes, police officers will turn off their dash cam. When you record an RI DUI traffic stop, it gives you a great advantage for you and your RI DUI lawyer to fight your RI DUI charge in court. This also sends a message to the judge that you are no afraid to have your speech and mannerisms judged. It would be very difficult for a police officer to claim your speech was slurred and you were staggering if video and audio evidence show a composed person defending themselves. If you are unable to record the traffic stop, make sure to write everything down at the soonest chance possible. When you arrested and charged with an RI DUI, immediately contact a skilled and aggressive RI DUI lawyer. The Law Office of Daniel Griffin provides the most swift and best RI DUI lawyer in the state in Attorney Daniel Griffin. Call Attorney Griffin directly at 401-230-3801 for immediate service and a free consultation. § 31-27-2 Driving under influence of liquor or drugs. § 31-27-2.1 Refusal to submit to chemical test. § 31-27-2.2 Driving under the influence of liquor or drugs, resulting in death. § 31-27-2.3 Revocation of license upon refusal to submit to preliminary breath test. § 31-27-2.4 Driving while in possession of controlled substances. § 31-27-2.5 Chemical tests to persons under eighteen (18) years of age – Refusal – License suspension. § 31-27-2.6 Driving under the influence of liquor or drugs, resulting in serious bodily injury. 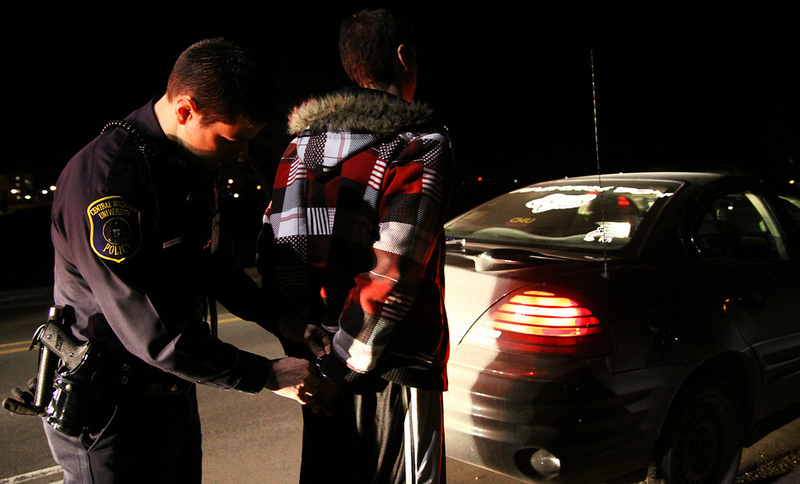 § 31-27-2.7 Driving while impaired. § 31-27-2.8 Ignition interlock system imposed as part of sentence – Requirements. § 31-27-2.9 Administration of chemical test. § 31-27-3 Right of person charged with operating under influence to physical examination.